Camryn Buhr, No. 34, is into her senior year of playing Penn Girls Basketball. Standing at 6-foot-0, and playing both a guard and a small forward, Camryn contributed 16 points, 7 rebounds, 3 assists, and 2 steals a game last season. Camryn started playing basketball when she was in first grade. 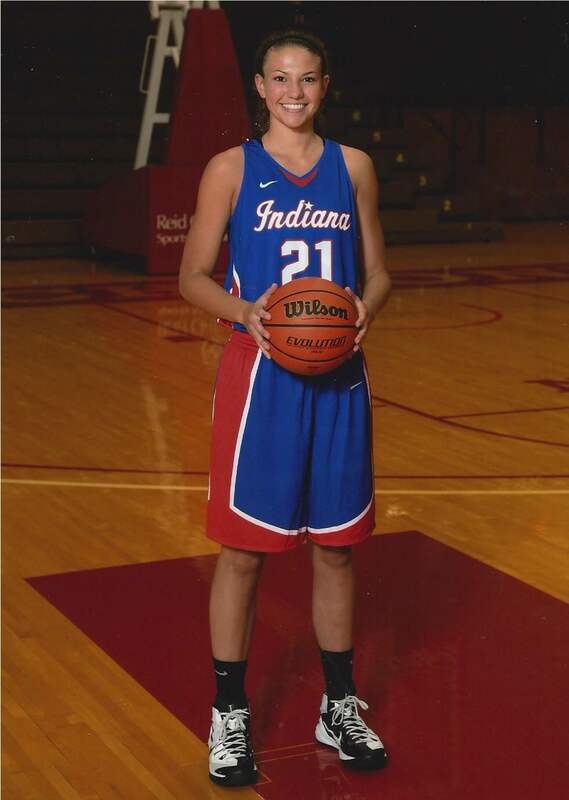 Some of Camryn’s greatest achievements would include going to state Sophomore year, being an Indiana Junior All-Star, IBCA Supreme 15 team, first-team NIC, and first-team Indiana Basketball Magazine . Camryn is looking forward to playing one last year with all her best friends before they all go play in college at different schools. Camryn recently verbally committed to Lehigh University in Pennsylvania. Lehigh interested Camryn because she really likes the coaching staff and the girls on the team. Camryn says that she feels as if she’ll fit in easily with everyone. Camryn loves Lehigh’s campus, with it being on a mountain. She is also excited to go out East, because Camryn has never really been out there before.